As a landlord, a quick turnaround at the end of a tenancy is a must. Every day your property stands empty you are losing rental income. When it comes to the end of a tenancy, you should prepare yourself by ordering industrial cleaning Bristol based in advance. Some tenants may leave the property clean, others will not. But all properties should be deep cleaned with industrial strength equipment to ensure they look like new for new tenants. When showing potential tenants around a property, you need to make a good first impression. Stains on carpets and dirty windows are very off-putting. A carpet that has stains cannot be cleaned with a normal vacuum, and tiled floors also need to be cleaned with industrial equipment. Even the dirtiest of floors can be brought back to life when they are deep cleaned. But, not all floors are the same, and a machine suitable for tiles could ruin a parquet floor. This is why you should use the services of commercial and industrial cleaners who know best. End of tenancy cleaning is often referred to as deep cleaning. This means that all areas of the build are cleaned. If your property is let without furnishings, then a deep clean is relatively quick to carry out. 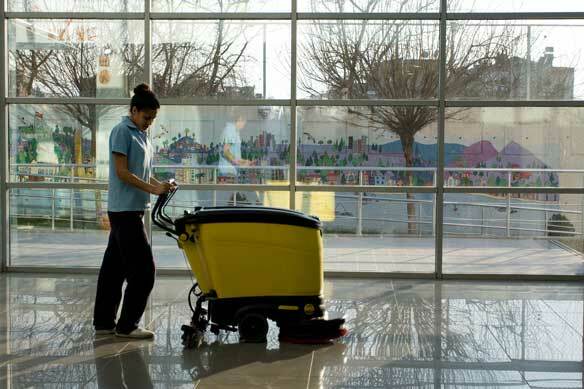 With no clutter in the way, industrial machines can get to work to clean walls, floors, windows, and any static fittings that are permanent. Jet washing is popular for end of tenancy cleaning. Although you can hire jet washing equipment, it will not save you time or money. If you want the job done right the first time, hire the professionals. Jet washing can get rid of dirt and grime both externally as well as internally. An industrial kitchen can be jet washed to get rid of a buildup of grease and grime that is would take hours to remove by hand. Starting from the outside of your property, pay attention to your driveway, parking lot, or other areas where there is concrete. Oil spills are common, and once again, these can be removed in minutes with industrial strength cleaning equipment. If your property has a garden, then ask for this to be cleaned up too. Perhaps the property has an overgrown lawn, or the garden has been left unattended for the duration of the tenancy. End of tenancy cleans need to be quick and efficient. When you have a date for the end of the tenancy, order a clean in advance from your Industrial cleaning Bristol experts. This means that the minute you receive the keys to your property your commercial cleaning team in Bristol can move in. Perhaps you will be pleasantly surprised by what you find, and the cleaning will only take a few hours. But, be prepared for a deep clean. Deep cleaning takes little more time if the property is really dirty. All the same areas will be covered, being cleaned quickly and efficiently, ready for your new occupiers to move in.